There’s something to learn from every video in the Upswing Lab. The same is true for the following Doug Polk Play & Explain session, in which he battled across 4 tables at mid-stakes on America’s Card Room. In this article, I’d like to share 3 of the best poker tips that I learned from watching him play. The hand in question takes place at $1/$2. After Doug raises preflop to 5bb from UTG with pocket kings (he misclicked, hence the large size), the button responds with a 3-bet to 15bb. Now, Doug has two options with this hand: Call or 4-bet. Calling is not terrible, but it’s not the most profitable option because it allows the button to realize his equity with hands like A5s (which still have ~33% equity preflop) whereas 4-betting will deny him that equity. Moreover, 4-betting will help up get the money in preflop, potentially to stack a lower pocket pair (such as QQ), or a hand such as AK. Since 4-betting is clearly the better option, the question is how much to bet. The key is to pick a size that allows for bluffing efficiently. The button will get a very good price to call, which will give him the ability to realize equity with the weakest hands in his range. As a result of giving very good odds to the button’s whole range, our bluffs will not work frequently enough. So, the only 4-bet size that makes sense here is an all-in, which Doug decided to go for. Unsurprisingly, he was called by Q♦Q♣ The board ran out clean and Doug scooped the $450 pot. This is an extreme example because of Doug’s 5bb misclick, but similar situations will arise when playing with a short stack or against a shorter stack. Getting the 4-bet size wrong in these spots can cost you a lot of EV in the long term. Takeaway: choose a 4-bet size that allows you to bluff and value bet efficiently. At a $3/$6 table this time, Doug opens from the button with K8o to 2.5BB and gets 3-bet to 6.5BB by the BB, who happens to be a weak player (he has the green mark Doug puts on weak players). The big blind’s play here is poor because it gives the open-raiser the chance to call and realize equity with a lot more hands in position. When called, this is a terrible spot for the 3-bettor. He will have a very hard time on a variety of different board textures and runouts even with a hand as strong as KK or AA. In this case, Doug can expand his flatting range to include a lot more hands than usual since he only needs 30% equity to call. The fact that this particular opponent is known to be weak means Doug can push it even more, which he does, deciding to call with his hand. The lesson here is to call with more hands than usual when facing a small 3-bet. Americas Cardroom $1/$2. 4-Handed. Effective Stacks $200. This is a wide range vs. wide range spot, where both players will be missing the flop a lot, which means that our opponent is much more likely to have a non-made hand. The bet size is small, which means that we don’t need all that much equity in order to call. 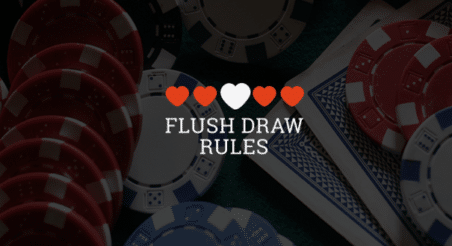 Doug is in position, which means he will get the opportunity to bluff efficiently on the turn if the opponent checks, or he can call or value-bet. Taken together, these 4 reasons allow Doug to call with a very wide range. Undoubtedly you’ll face similar scenarios. Takeaway: float liberally when you are in position and facing a small bet. For more about floating, you should check out my article The Complete Guide to Floating Strategy. This article covered just one of 129 Play & Explain videos that are accessible in the Upswing Lab. There is a wealth of poker knowledge waiting for you there, and so I encourage you to enroll and join the team. It’s the best poker community on the planet! That’s all for today. Please don’t hesitate to leave questions or feedback in the comments section below! Want more? Check out these 10 quick poker tips.